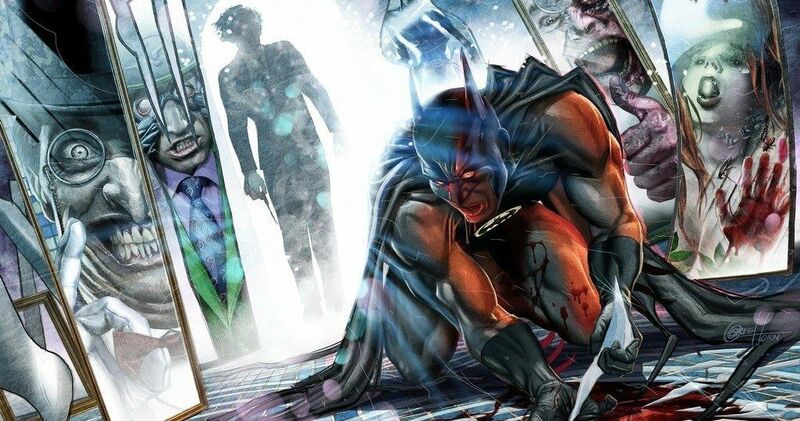 Did we just find out who the second villain in The Batman is going to be? After months, no, make that years of waiting, we’ve finally had some concrete developments in regards to the first standalone Batman movie since The Dark Knight Rises over the past few weeks. Ben Affleck is officially no longer playing the part, meaning there’s going to be a new actor under the cape and cowl. We’ve also got a rough outline for the production timeline and some other key details. While much is still being kept under lock and key, something quite crucial may have leaked out. Before digging in, we must caution that this should only be regarded as a rumor for the time being, as this isn’t coming from Warner Bros., director Matt Reeves, or anyone else directly involved with the production. That said, according to a new report, a bad guy known as “The Brain” will be joining Penguin, whom we’ve heard is going to be the villain for some time (again unconfirmed by Reeves yet). While there is a DC villain named The Brain, literally just a brain in a suit of armor, who often fights the Doom Patrol, there seems to be more to this. According to the report, “The Brain” is actually meant to lead us to Edward Nygma, aka The Riddler. It’s been a very long time since we’ve seen this particular bad guy on the big screen. The last time it happened was in Batman Forever, with Jim Carrey playing the role alongside Val Kilmer’s very short-lived turn as the Caped Crusader. But that was more than 20 years ago and it’s high time Riddler got a modern update. Pairing him up, or at least having him share the screen with Penguin, is something we haven’t seen in one of these movies previously. While this particular villain appearance hasn’t been officially confirmed, Matt Reeves did personally reveal that there will be multiple villains from Batman’s rogues gallery showing up in his movie. So this is believable. And it would make sense not to revisit villains we’ve seen in the recent past. Not to mention that Reeves is making this a noir story focused on Batman’s skills as a detective. What character would make better use of those skills than The Riddler? Then the question becomes, who should play him? The expectation is that The Batman (which isn’t the final title) is going to shoot before the end of the year. But before we can worry about the villains, someone needs to be cast as a new Dark Knight and, hopefully, we’ll be hearing some news on that front sooner rather than later. For now, we’ve just had Nick Jonas jokingly put his name forth on Instagram and Robert Pattinson’s very loosely attached via an unsubstantiated rumor. The Batman is scheduled to hit theaters on June 25, 2021. This news was previously reported by We Got This Covered.